FOOTHILL WINS, TRABUCO HILLS 2nd! Foothill High’s JV team won the 4th annual Sticks & Stones Invitational, beating host Trabuco Hills, 8-5, in the championship match of the 14-team event. Foothill — also the 2009 Sticks & Stones champion — defeated Tesoro, 10-5, in a semifinal to reach the title game. Trabuco Hills beat Los Alamitos — the 2009 and 2010 champs — by a 6-3 score in the other semifinal. 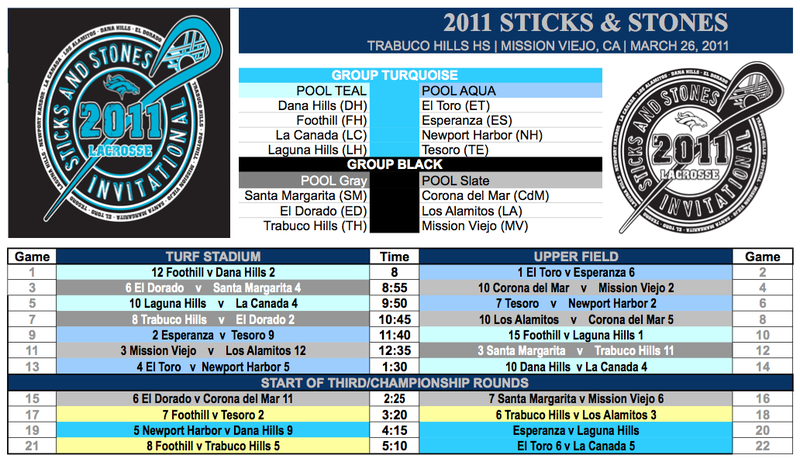 Games played at Trabuco Hills HS (MAP) at our Stadium (turf) and our “Upper Field” (grass). Full 14-team tournament rules and guidelines ARE HERE! 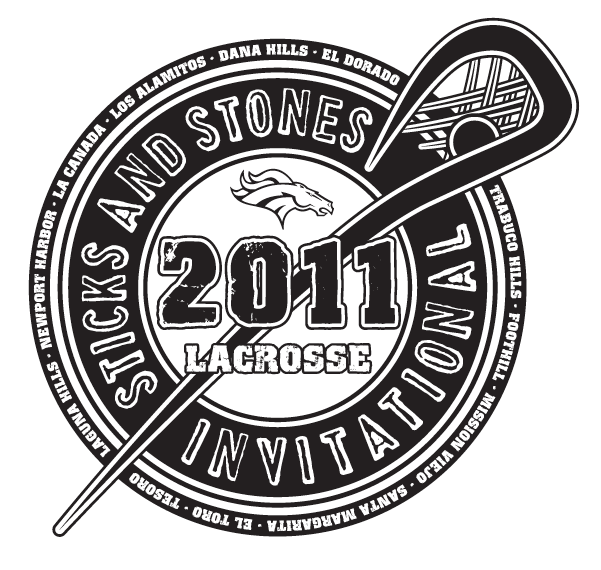 RAIN SCHEDULE for 2011 Sticks and Stones IS HERE! First team listed wears dark uniform. Championship game is 15-minute halves, stop clock.